Thank you for your patience during this brief interval in the middle of January. I've had a week to tackle some non related work things and clear my head and regularly scheduled programming should continue from here on out! 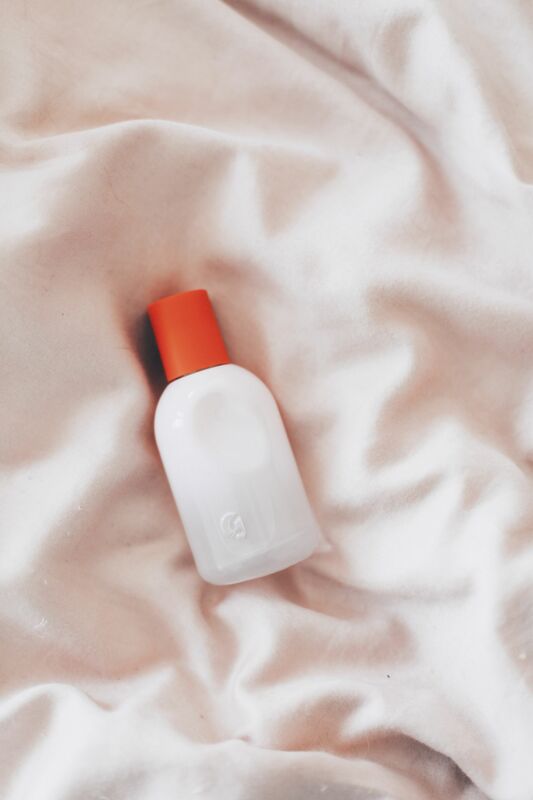 Today I thought I'd shine a little spotlight on a product I've been using daily since October 2017 - Glossier You. The hyped fragrance everyone rushed to buy, and quickly divided so many across the beauty community. Obviously I'm shining a spotlight on this so it's quite clear which side I'm on. BLADDY LOVE IT. It's worth mentioning from the get go this is more of a floral/woody scent, but for lovers of my usual fragrance suggestions - don't let this put you off! It's one of the few floral fragrances I like, and has something about it that makes it so wearable and perfect for everyday. It's also one of the few fragrances that EVERYONE comments on after I've applied it - no one can quite place the scent though as it does tend to smell different on everyone. It's laid back, everyday quality also makes it perfect for layering with other fragrances (I love doing this so you always have some kind of continuity with your scent even though you might be wearing a different one - it makes it more personal and still recognisable). For the fragrance junkies that want the deets on the exact notes; a base of ambrette, ambrox and musk are what you're looking at. I think the musk is a key note that will always draw me to a fragrance - regardless of how sweet or floral or woody something is. Topped off with iris root and pink pepper - two notes I'm not normally swayed by, but the whole mix just feels effortless and soft. I loved the little sample of this I got with my first Glossier order I just need to get round to buying the full size! I love this too – totally not my usual style but its so clean and feminine! I really need to smell this, I’ve heard so much about it! I’ve seen this everywhere recently! I still need to try products from Glossier! I was curious as to what you thought about it. I don’t LOVE musky scents, but I do want to smell this on me just to see what it’s like. Thanks for sharing your thoughts Suzie! It sounds lovely, and such a nice idea to wear it under other perfumes, I’ve always struggled with deciding on one signature perfume! Do you happen to know if the musk is synthetic? I know Glossier is cruelty free, but musk is typically derived from an animal product so just curious if they source a synthetic or an authentic musk. Thanks! I believe the majority of fragrance ingredients previously derived from animals are synthetic these days. I guess real musk would be very expensive too, apart from not being PC. Would love to have a sniff at the perfume! Sounds so good! one of my favorites, I am also loving the lazy Sunday morning perfume from replica and I think that they layer really well. WELCOME BACK ! so happy to see you are posting again. This fragrance sounds amazing, gorgeous photos as always. I need to try this! Gorgeous photos! I got a sample of this with my first Glossier order and went straight back to buy the bottle. It’s absolutely gorgeous, nothing like I’ve smelt before!